Comment: Inglorious Ocean is a Rome, Italy-based imprint whose purpose is to promote post-rock, electronica and IDM infused music for your pleasure. For instance, Sub Noir`s Reflex proves that electronic music on its own could be fairly melodic, pensive and sonically multifarious. The point of the issue is also about to craftily balance different sonic bits to each other, to be floating and emotionally compelling in nature at the same time. This handful of tracks is a good source to find out many outstanding compositions. For instance, Fireworks has been managed to explore concrete music with elegantly sprawling rhythms and slowly evolving synths atop and in the middle of. Garden chimes as if the still life on Sunday had been recorded back of the house in the countryside somewhere. Puddle is a lullaby for the advanced ones. 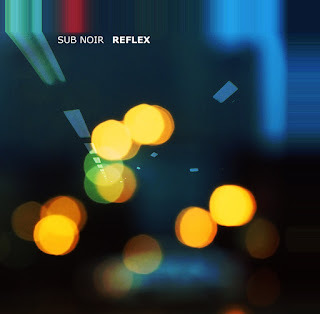 Indeed, Sub Noir`s tracks here are highly spirited as if having no imposed borders and calculated intentions. Top notch.